Vernon CMS 10.0 includes a calendar view tool, image derivatives, improved options for viewing multimedia, and a number of enhancements to existing functionality. 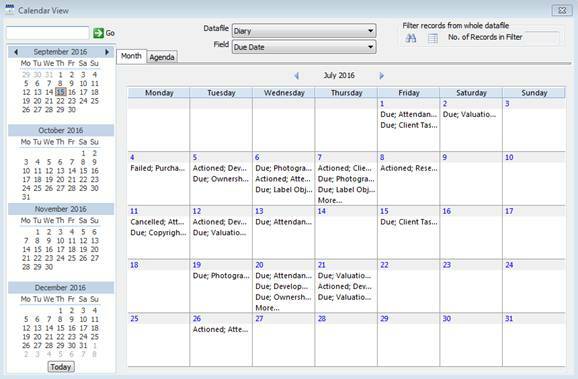 Calendar View allows users to see Diary or Activities records in a calendar or agenda format. You can view all records that match the selected file and field, or select specific records with the Query or List Manager tools. With Calendar View you can easily view upcoming tasks (Diary file) or dates where a loan needs to be returned or borrowed (Inward/Outward Loan). The Agenda tab lists records one day, one week, two weeks, four weeks and eight weeks ahead of your selected date. The new Image Derivative file lets you customise the dimensions and quality of images in your reports and Vernon Browser export. You can customise the widths, heights, and quality of images and use these derivatives in Word Merge reports, PDF files (Listing format), and Browser Export. You can also export the images in different derivative sizes and quality. For example, you may need to send a medium resolution image in response to an enquiry from the member of the public. You export the image as a derivative of 500 width x 500 height with a quality of 50%. The person making the enquiry would then receive a medium sized image with lower quality. The aspect ratio of the image remains the same. 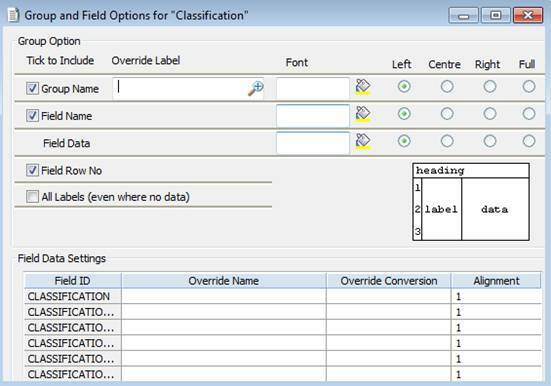 The Retrieval Parameter File (RPF) controls which fields are displayed in the Query tool. The RPF Subset tool was created so your organisation can refine and customise the fields used in the Search Fields box in the Query window. You can create a subset for any file that the Query tool searches on (Query File). These subsets let your organisation remove unused fields from the Query window. For example, if your institution doesn’t record Catalogued Date, you can create a RPF Subset that excludes this field. Creating a subset of fields that you actively use makes it easier to create a new query as the list of available fields will be shorter. You can also easily reorder the fields in the RPF Subset window. Simply drag and drop the fields in the order you desire. The Place Role field has been added to the Production Place, Associated Place and Subject Place edit tables in the Object and Topic files. The Place Role field records the relationship a place has in the production, association, or subject of an object or topic. For example, a coin minted in Australia would have “Australia” as the Place and “minted” as the Place Role. There have been many small enhancements to Vernon CMS Imaging. These include: replacing the metadata toolkit, creating a new window for viewing images, and replacing the scroll bar with browse buttons for records with multiple images. The Group and Field Options window has been updated and combined with the Reporting Fields Advanced window. The new design is easier to use. This window can be accessed by pressing the Details button when selecting fields in a report or through the Format window. A Show All Parts button has been added to the Location window. This button will open a read-only window with an edit table showing the Current or Last Confirmed Location for each part of an object. This table will show the location of each part, even when the History window displays ‘Rest of Object’. This is useful if the object has parts that have been moved into different places. Although this table is read-only, you can still use some of the edit table tools in the Edit menu (i.e. Copy to Excel, View Edit table, etc). The Correspondence file has been updated to allow users to attach related records in bulk. Once the related file has been selected (i.e. 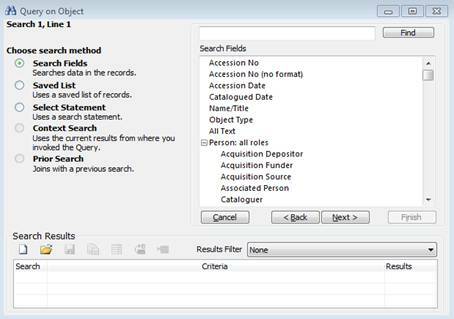 Object), use the Options button to perform a query for the records you wish to attach. The upgrade installation file, upgrade instructions and “What’s New in Version CMS 10.0” can all be accessed from the Customer Support Portal ‘Upgrades & Updates’ section.